Head bunting is one of the most obvious ways that your cat uses to express love to you! Head bunting can be described as when your sweet cat lowers their head and lean forward trying to lightly touch their forehead against you and softly touching your face or other parts of your body. 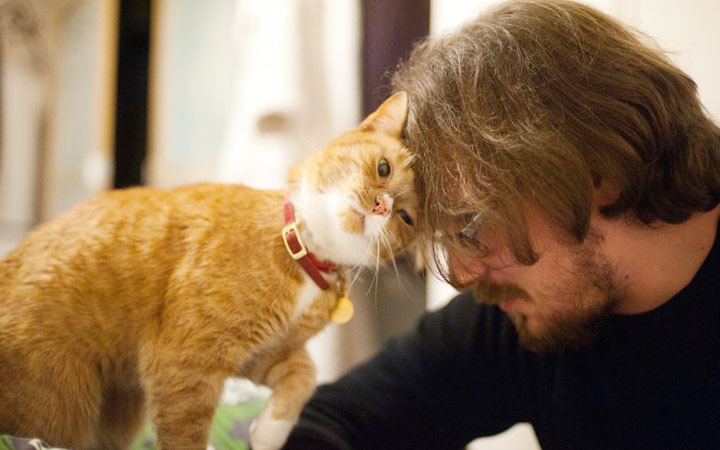 This is an act of pure love and affection that cats only exhibit when they are with their most loved human. Scientifically, this soft touch of your cat can lead to the production of the endorphins hormone that can make you and your cat feel good and in a good mood!